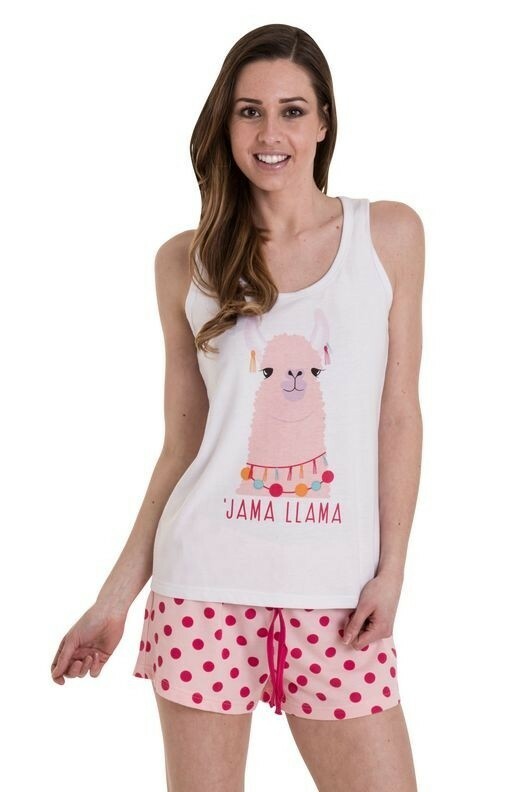 Ladies nightwear Loungeable pink & white llama jama slogan short pyjama set. Featuring a white slogan vest top with llama design and slogan with matching pink & white llama printed shorts with elasticated waist and contrast tie ribbon. Made from 65% Polyester, 35% Cotton. Comes in packs of 12.